The RGA team are getting in the Christmas spirit, we wanted to share this tasty festive Treat with you! Heatoven to 180 degrees C, fan 160 degrees, gas mark 4. Grease a shallow baking tin 20 x 30 cm and line with baking paper. Melt the chocolate and butter in a bowl set over barely simmering water. Makesure the bowl doesn’t touch the water. Stir occasionally until smooth then allow to cool. Place eggs, sugar and vanilla in an electric mixer/ food processor and beat until pale and fluffy. Beat in the cooled chocolate mixture. Sift in the flour, cocoa, baking powder and salt and fold in with a large metal spoon. Gently fold in the mincemeat. Spoon the mixture into the prepared tin and smooth the surface. Bake for 30 to 40 minutes or until firm to the touch but still fudgy in the centre. 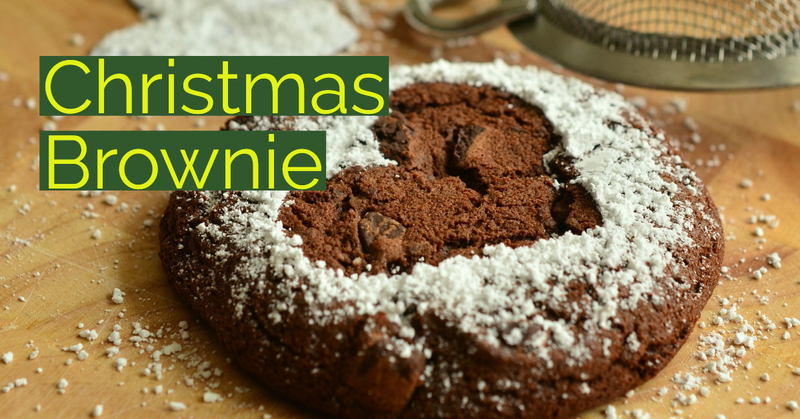 Allow the brownie to cool in the tin, then remove, cut into squares and sprinkle with icing sugar. Store in an air tight tin for up to two days. Previous PostPrevious Autumn Show Success!